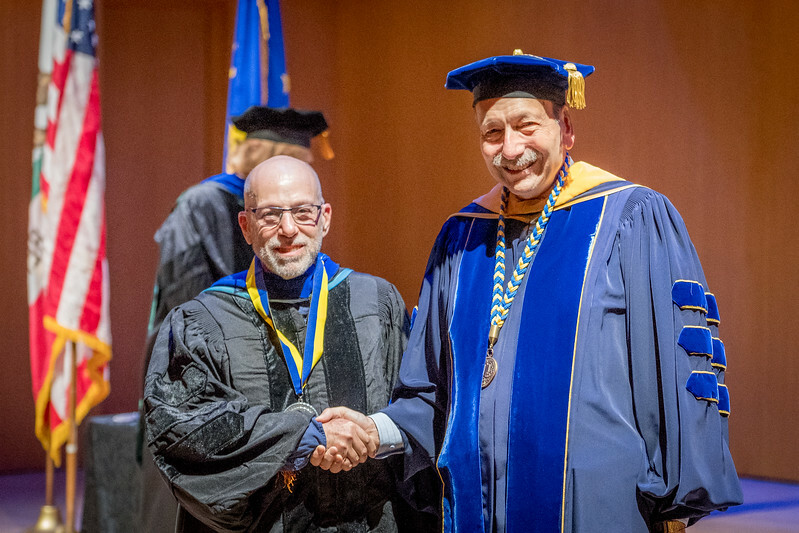 HAVC faculty Professor Raoul Birnbaum and Associate Professor Stacy Kamehiro were honored at the inaugural Convocation of Chairs at UCSC. The Convocation of Chairs is a ceremonial recognition of the exceptional faculty appointed to an endowed chair. Through the generosity of donors, the Campaign for UC Santa Cruz generated 16 new chairs, bringing the campus total to 37 endowed donor-funded chairs. These chairs are vital to campus efforts to attract and retain top-flight faculty, provide resources for scholarly research, and support graduate fellowships. Professor Raoul Birnbaum holds the Gary D. Licker Memorial Chair at Cowell College and Associate Professor Stacy Kamehiro holds the Rowland and Patricia Rebele Endowed Chair in the History of Art and Visual Culture.